Dinosaurs-POP-UP BOOK, HTF, OOP. 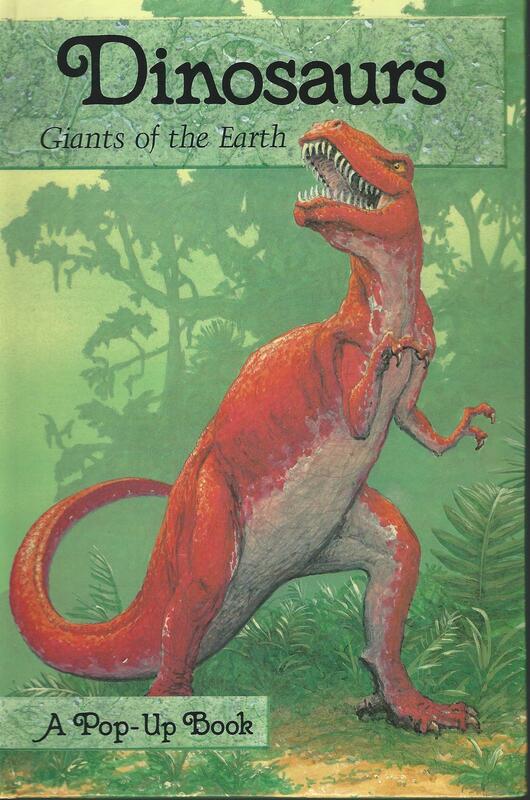 Dinosaurs: Giants of the Earth Hardcover Publisher: Olympic Marketing Corporation (June, 1988) Carnival Books, London, 1988. ISBN: 000194407X Book Description: Carnival (Collins), 1988, 1988. Pictorial Cover. Book Condition: Fine. Richard Courtney (illustrator). A pop-up book with paper engineering by Keith Moseley. All models complete Pictorial boards fine, all pop-ups working. Near gift quality, a few shelf wear lines. Tight, unmarked Great little book, good holiday gift . 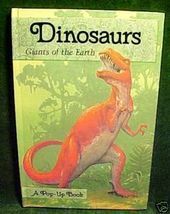 BACK COVER: "Brilliant illustrations and ingenious pop-ups with moveable parts will fascinate even the youngest dinosaur lovers as they learn about their favorite prehistoric animals in these sturdy, easy-to-read pop-up books." Amazon has only 3 copies of this book: 75.62;77.90;80.00 SORRY, NO RETURNS ON THE BOARD, MOVABLE and MUSICAL BOOKS. Once the tabs have been lifted, the music played, or book played with and used, I can not resell it as new.